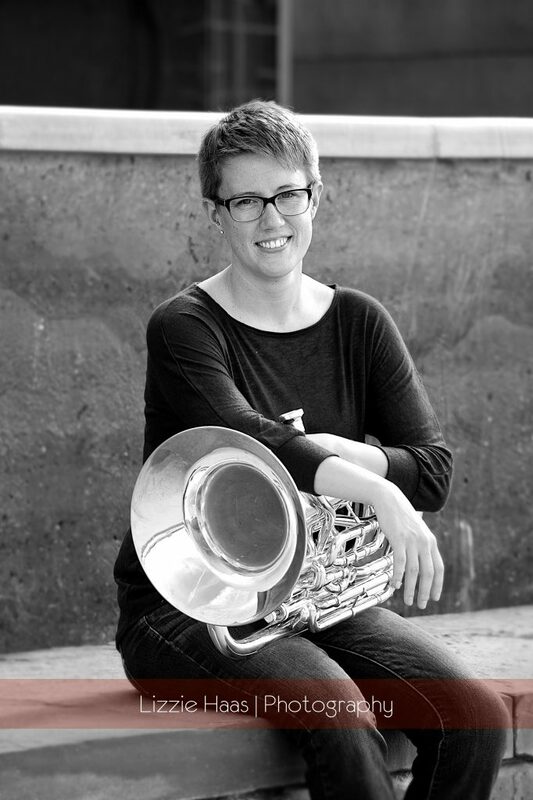 Dr. Danielle VanTuinen is a low brass performer, music educator, arranger, and entrepreneur based in New England. She currently serves as low brass faculty at the Portland Conservatory of Music, low brass instructor for the marching band at the University of New Hampshire, the low brass specialist of the Westbrook School Department in Maine, and a private lessons instructor in the Stratham School District in Stratham, NH. While completing her doctoral work, she served as a Graduate Teaching Assistant in both Tuba and Euphonium at Arizona State University where she was the instructor of the low brass methods course aimed at providing music education majors with the tools needed to teach low brass throughout public schools. Danielle is the co-founder of the Moreau | VanTuinen Duo and an active presenter, clinician, and performing artist throughout the United States. In addition to her current appointments, Danielle has served as the middle school tuba/euphonium instructor at the Summer Youth Music School (SYMS), held on the University of New Hampshire campus in Durham, NH. Designed for middle and high school students, she teaches masterclasses and private lessons. Prior to her work in New England, Danielle was the Low Brass Instructor with the Phoenix Youth Symphony and a low brass instructor/clinician with the Arizona State University Concert Band. She has actively participated as a member and coordinator of commissioning new works for both solo euphonium/tuba literature and percussion/euphonium repertoire resulting in new works focusing on expanding the repertoire. Danielle has performed with several ensembles throughout Arizona, Michigan and the New England areas, including the Phoenix Ballet,West Valley Symphony Orchestra, the Grand Rapids Symphony, the Salt River Brass Band, and the New England Brass Band. As a cofounder of the Moreau | VanTuinen Duo, she has been invited to perform at Northern Arizona University, the University of Vermont, the University of New Hampshire, Plymouth State University, the Miraphone Academy of the Southwest, the Southwest Regional Tuba Euphonium Conference, and the International Women’s Brass Conference as a guest artist and educational outreach presenter. Danielle earned a Doctor of Musical Arts degree in Music Performance from Arizona State University. Her culmination doctoral project, “Euphonium and Live Interactive Electronics: A Performer’s Examination of Three New Works”, aimed at providing the current repertoire with three new works, historical context, and an performer’s examination. She holds a Master of Music degree in Music Performance from Arizona State University and a Bachelors of Music degree in Music Performance from Central Michigan University. Her principal teachers and mentors include Dr. Deanna Swoboda, Professor Douglas Yeo, Dr. Mark Cox, and Professor Scott Hanson. Danielle is a member of the International Tuba Euphonium Association and the former student representative.